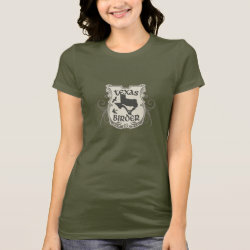 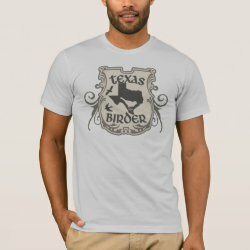 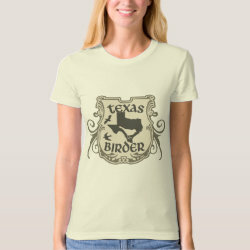 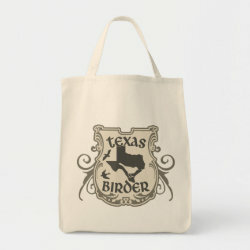 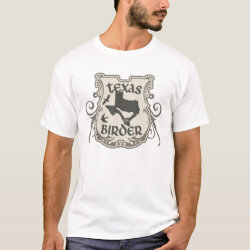 Show your Texas Birder pride with this original shield-style design! 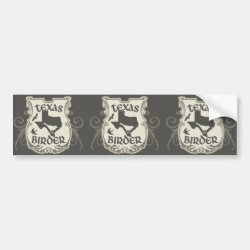 The state is shown in silhouette with birds perched or flying about. 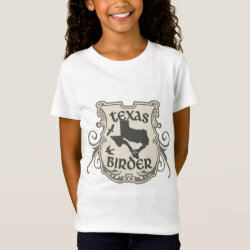 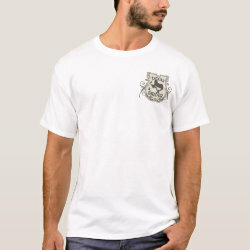 Whether you're a More... Texas native or want to commemorate your visit to hotspots like the World Birding Center, the Rio Grande Valley, South Padre Island, or Aransas National Wildlife Refuge, this classic and stylish design is for you!